Yesterday's article was about Ottavio Bottecchia, and today we move onto the history of the Bottecchia brand. "1909: Teodoro Carnielli of Vittorio Veneto is a craftsman who builds and repairs bicycles. He becomes a supporter of the local "Associazione Ciclistica" and later its President. He immediately recognizes the young Ottavio Bottecchia an exceptional talent. After the dedication of Bottecchia to the French company Automoto, in which the incredible and magnificent talent of Bottecchia won two Tour de France (1924 and 1925), Carnielli, with great flair for business, now seeks to produce a Bottecchia bike for which the rider will earn royalties. Over the years, the small workshop Carnielli becomes an industry. Between 1930 and 1940 about one hundred employees build Bottecchia bicycles, Triumph motorcycles, and later Vittoria motorcycles. 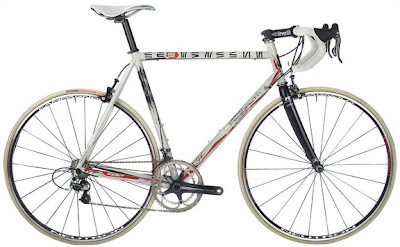 Bottecchia bicycles are produced in large numbers and in different versions, however, the one that gives the most satisfaction is the racing model. Carnielli, a fanatic of bike racing, decides to begin sponsoring cycling teams who use Bottecchia bicycles. In 1951, Guido Carnielli has a great idea: a stationary exercise bike. The first stationary bike in the world, the "CYCLETTE", is born. In the early 1960s, another revolutionary insight comes to Guido. Italy is in a period of economic boom and the number of Italians that can afford buy a car are increasing. So, why not create a folding bike with small wheels adapted to be transported by car? To create and produce such a bike the Carnielli company undertakes a great economic effort. The "GRAZIELLA", designed in 1963 by Rinaldo Donzelli, becomes the first production folding bike and also becomes a worldwide success. In the late 1960s, Teodoro passes the baton to young Guido and Mario, who return the Bottecchia brand to bike racing with which are achieved many victories. Among the most famous Bottecchia riders: L. Robert, G. Nencini, G. De Rosso, M. Cancelli, R. Altig, G. Motta, G.Saronni, G.B. Baranchelli, G. Le Mond. 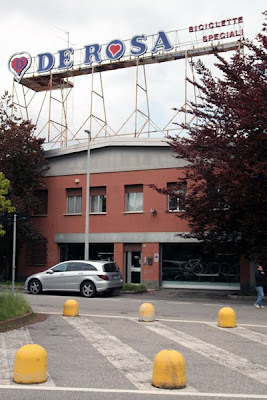 In the mid-90s the Bottecchia brand is separated from Carnielli, and its corporate team moves Bottecchia from Vittorio Veneto to Cavarzere in the province of Venice. Thus began the rebirth of a brand that points to the world market." Source: from Bottecchia website, in Italian, which I have translated with some additional details. Bottecchia website. The Acqua & Sapone team are riding Bottecchia SP9 bikes for this season, see here. Stories for the Italian Cycling Journal about rides, granfondo, having a good time cycling in Italy, Italian cycling history, etc. are very welcome. Contact me at veronaman@gmail.com. There are more than 1,200 stories in this blog. The search feature to the right works best for finding subjects in the blog and there is also a translate button at the bottom so you can translate each page. Cinelli fan? Visit CINELLI ONLY. "Ottavio Bottecchia was born on August 1, 1894, in San Martino di Colle Umberto (Treviso). As a young boy he participated in prize competitions and in one of them won a gold watch for 1st place. At the beginning of World War I he enlisted in a special unit, the "esploratori d’assalto” (explorers of the assault), which were equipped with folding bikes. He was awarded the Bronze medal for valor for his actions and distinguished service. Teodoro Carnielli, owner of a small bicycle manufacturing company and President of the “Associazione Sportiva di Vittorio Veneto”, gave him a racing bike as a present and sent the future champion to the directors of the “Unione Sportiva di Pordenone”, with whom he started to gain his first successes. The eleventh edition of Giro d’Italia in 1923 was won by Constante Girardengo but Ottavvio Bottecchia was fifth in the general classification and first in the juniors and unattached classification. Thanks to Giro d’Italia he became for the press “best man in the race” and obtained his first contract with Aldo Borella of French company Automoto. 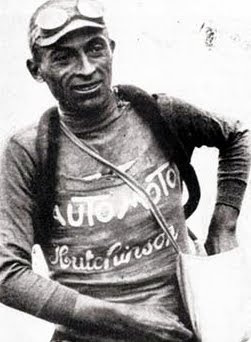 Now racing for Automoto, still in 1923, Bottecchia takes part in the Tour de France. At he end of the first stage there is a surprise: after 381 km from Paris to Le Havre, Bottecchia is in second place out of 200 and more participants. The French fans acclaimed him with shouts of “Bottescià Bottescià! “. The French journalists never fail to praise the Italian rider everyday. When the Tour de France ends Bottecchia is in 2nd (Henri Pélissier was 1st). 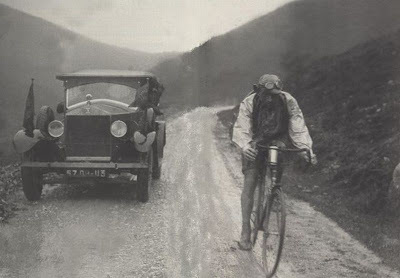 In 1924, still riding for Automoto, Bottecchia was in full form, cycling without any effort on any slope, his stamina perfect, and his moral high. On July 22, the Gazzetta dello Sport's front page headline reported in large letters: "Bottecchia triumphantly wins the Tour de France and reaches the goal that for 20 years the strongest Italian riders pursued in vain." Bottecchia is not only the first Italian to who win the prestigious French competition, winning four stages, but also the first cyclist who to wear the yellow jersey from the first to final stage. The following year, at the end of the twentieth Tour de France referred to as the "Tour of Suffering", only 49 out of 130 riders returned to the Parc des Princes and Bottecchia wins once again, more than 54 minutes ahead of Lucien Buysse. Back in Paris, Bottecchia is received triumphantly and Italian sport is at its peak. At 10:30 am on June 15, 1927, at just 33 years of age, Ottavio Bottecchia died prematurely in a hospital bed in Gemona del Friuli, after thirteen days of agony under circumstances still shrouded in a gruesome mystery." "City officials, cycling aficionados and business leaders gathered in the soaring atrium of the Italian Embassy in Washington Thursday evening to celebrate what they see as a historic opportunity -- bringing the 2012 Giro d'Italia to the District. Since last November, rumors have circulated that promoters of the Giro, one of the three grand tours of professional cycling, have eyed the District as a location for a prologue and first stage of the race. As local race promoters have sketched out possible routes, Mayor Adrian Fenty met with race director Aneglo Zomegnan last December to further push the bid along. And while yesterday's event was merely held to update supporters on their progress and corral possible sponsors from the business community, it was clear from the event's slogan -- "History is made but once" -- that officials see the Giro's possible start in D.C. as a huge boost to the local economy and the city's international standing. Greg O'Dell, chief executive of the Washington Convention and Sports Authority, argued that the Giro's coming to D.C. would be like few other sporting events the city has ever hosted. "The fact that it will bring a lot of economic impact was what made us even more excited about doing this," he said, pointing out that the 2009 start of the Vuelta a España in Amsterdam netted the city 25 million euros from hotel stays and restaurant visits. O'Dell compared the city's bid for the Giro to their desire to see the World Cup come back. 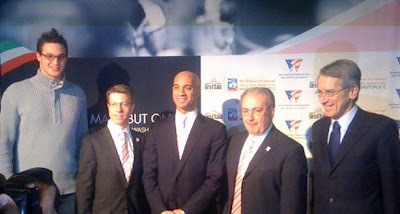 Mayor Fenty, wearing a trademark pink Giro tie (the Tour de France has the famed maillot jaune, while the Giro has the maglia rosa), spoke more broadly of the impact the race could have on the city's global reputation. "It would mean two things. It would help highlight D.C. as a great place for cycling [and] for a long time after, D.C. will be seen as one of the premiere places to ride a bike in the entire world, which is fantastic because it fits with everything we're trying to do in Washington D.C. -- get people out of cars, use bicycles to get around. We think this will be really big for all of those priorities," he said. We asked Mark Sommers, a local race promoter who has played a central role in promoting the District to Giro officials, how the partnership between the city and race organizers came to be. "[Giro officials] had seen the photographs and the website of the fabulous finish of [the 2008 Capital Crit] framed by the U.S. Capitol, so they contacted us about the event. We had been thinking in turn, 'Why not Washington, D.C. for a grand tour?' That was the synergy that really started the discussions." Sommers also noted that stage routes would include the city's most famous sites, many of which were inspired or made by Italian artists and architects. "There are certain monuments, buildings and structures that we will want to integrate into the course that showcase the grandeur and beauty of the nation's capital and also the various structures that Italians and Italian-Americans have contributed," he said, mentioning the Watergate, the Memorial Bridge, the Italian Embassy and the U.S. Capitol. As for when the District may get final word on the Giro, Fenty noted that it's really up to the Giro d'Italia deciding group. "I think they like the city, but they have to run the final processes, so we've got our fingers crossed. It looks good but we're taking nothing for granted," Fenty said." cyclingnews.com also reported, "Under the banner ‘History is made but once’, a pre-recorded presentation video emphatically stated that the Giro d'Italia would start in Washington in 2012, but the chair of the working group responsible for the bid, Mark Sommers, and Giro director Angelo Zomegnan were more cautious in their pronouncements. Zomegnan expressed optimism about bringing his country's biggest race to the US capital, promising to prepare "something special" and to bring "great days to a great town". Speaking with Cyclingnews, he said that the city is one of three bidding for the 2012 departure, but Washington is "the front runner". "There's nothing like that late-evening call from someone in the know telling you that the post you wrote on the massive international cycling stage-race coming to the District isn't really true. I dare say it, friends, but apparently the Giro d'Italia's coming to America isn't yet set in stone. A source at the Washington Convention and Sports Authority tells DCist that while a reception will be held tonight at the Italian Embassy featuring Mayor Adrian Fenty, Giro organizer Angelo Zomegnan and other big-wigs, no formal announcement regarding the Giro's alleged start in the District will be made. The reception will merely allow a District-based working group to provide an update on the planning for the race. The not-so-confirmed confirmation seems to have started across the Atlantic, when Italian paper Il Sole 24 Ore published an article claiming that the District would host both a prologue and a first stage in the 2012 Giro. Pretty much every cycling publication out there jumped on the news, and we followed. The news was even a surprise to some locals involved in the process, who thought someone in Italy had just leaked the news a little prematurely. But so far, everything is still in the planning stages, and Giro organizers have not given the green light for an actual District start." Dario Pegoretti bicycles have been selected for inclusion in a forthcoming exhibition at the Museum of Arts and Design in Manhattan. "Bespoke: The Handbuilt Bicycle displays the designs of six internationally renowned bicycle builders whose work in metal, as well as graphics and artifacts, elucidate this refined, intricate and deeply individual craft. Organized by Michael Maharam, owner of the eponymous textile company and an avid bicycle collector, along with master builder Sacha White of Vanilla Bicycles in Portland, Oregon, this survey is presented as part of the MADProjects exhibition series, which explores emerging trends and innovations in the design world. The twenty-one handbuilt bicycles exhibited sit squarely at the intersection of design, craft, and art, and include a range of contemporary designs: fixed-gear, road racing, cyclocross, mountain, and commuter bicycles, as well as the stripped-down randonneur, designed exclusively for long-distance racing. The exhibition features bicycles by: Mike Flanigan, Alternative Needs Transportation (A.N.T); Jeff Jones, Jeff Jones Custom Bicycles; Dario Pegoretti, Pegoretti Cicli; Richard Sachs, Richard Sachs Cycles; J. Peter Weigle, J. Peter Weigle Cycles; and Sacha White, Vanilla Bicycles. Despite the seeming simplicity of their form and mechanics, bicycles offer a unique challenge to their makers. Rider and machine meet at three contact points-saddle, handlebar, and pedal. The custom builder's chief preoccupation is with fit; simply taking a rider's measurements may require more than two hours for a single commission. Every bicycle is a highly refined piece of engineering. Custom bicycle building involves master metalwork: bending, welding, carving and wrapping steel, titanium, aluminum and carbon. A graphic artist's eye is required in the application of paint and decorative flourishes. The custom models exhibited in Bespoke are the virtuosic productions of individual makers who lavish great attention on detail. The resulting product reflects the builder's sensibility paired with the rider's unique needs, turning the custom bicycle into a work of art. The exhibition is accompanied by a fully illustrated color catalogue published by Lars Muller Publishers that includes a foreword by the Museum of Arts and Design's director Holly Hotchner; an introduction by the design writer and critic Julie Lasky; a dialogue between the exhibition's curators Michael Maharam and Sacha White; multiple images of work by the builders in the exhibition; images of related artifacts; and biographies of the builders." Read about a visit to Dario's workplace here. This professional one day race has its roots in a course and event begun by amateur cyclists at the "L'Eroica". For the 4th edition this year there is yet another slight name change. Now simply named the "Montepaschi Strade Bianche" it has been previously named the "Montepaschi Strade Bianche, Eroica Toscana" and "Eroica". The race came about due to Italy wanting to establish a new one day classic on the professional calendar to rival the traditional Spring classics. To accomplish this the race offers the white gravel and shale roads of Tuscany rather than the cobbles of Paris-Roubaix. The course will be 190 km in length starting in Gaiole in Chianti and finishing in the Piazza del Campo in Sienna. The route will have 8 sections of white roads totalling 57 km of the 190 km route; the longest white road section is 13.5km. 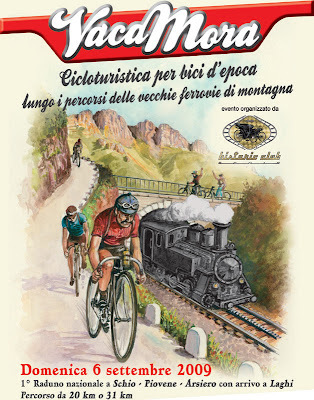 The L'Eroica, for amateurs, will be held October 3, 2010. Giovanni ("Vanni") Pettenella, a great Italian track rider, died Febraury 19th at the age of 66. Born in Caprino Veronese he won gold and silver medals at the Tokyo Olympics in 1964. 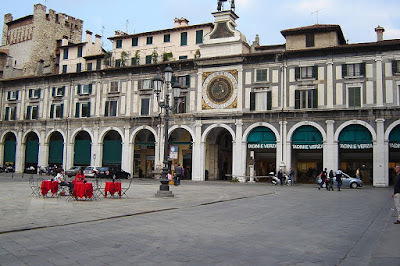 "Starting in Piazza Maciacchini, follow the tram tracks up along Via Imbonati. Pass under the bridge of the railway and continue along Via Pellegrino Rosso. The second road on the right is Via Semplicità. It's a curious name, one that makes you wonder about the chap in city hall who came up with the unusual idea of naming a street after simplicity. Usually somebody has to be long gone before anybody even considers naming something after them. Perhaps it was deemed that simplicity had been buried long ago, an unfortunate casualty in a world increasingly enamored with complexity, and so why not name a street after it? Proceeding down Via Semplicità, on your right you will soon find a green storefront. The glass on the windows is of the opaque type that makes it difficult to see inside, but even if it were completely transparent nothing would change as there are stickers everywhere obstructing the view of the interior. There is no official sign with the store name on it, but using white adhesive letters somebody has written the words 'fabbrica biciclette' (bicycle factory) on the door. The door itself is locked shut, but as soon as you ring the doorbell it is quickly opened by a very soft-spoken and unassuming man who is probably in his sixties and wears a pair of glasses with a black frame. You are in the presence of greatness. The man you have in front of you is Giovanni Pettenella, also know as Vanni, a man who used to sell chickens in his hometown of Caprino Veronese before relocating to Milan to race bicycles. A man who from humble beginnings went on to win a gold medal in the track sprint at the 1964 Tokyo Olympics Games, besting on the occasion another Italian by the name of Sergio Bianchetto. A man who at those same Games also won the silver medal in the Kilometre, coming in behind the Belgian rider Patrick Sercu who would later became a legendary Six Day racer. A man who during the semifinals of the Tokyo Olympic track sprint against Pierre Trentin astounded the crowd with a 21 minute trackstand before finishing his adversary with a blindingly fast sprint. A man who on a hot day in the summer of 1968, at the Italian National Track Championships held in Varese, set the world trackstand record of one hour and five minutes, a record that stands to this day. In Varese on that hot August day in 1968 the commentator covering the event for Italian national television ran out of people to interview, and a crowd of curious spectators slowly started flocking to the velodrome to witness the event. Pettenella's adversary on that occasion was that same Bianchetto of the Tokyo Olympic sprint final, a rider who after one hour and three minutes of trackstanding under the fierce summer sun collapsed to the ground, unconscious. In a drawer of his office desk Pettenella still has a photograph of the final minutes of the race. Bianchetto is lying unconscious on the track with Vanni still trackstanding and waiting for the doctors to validate his victory in the first sprint. Pettenella was the kind of rider that flew out to Australia in October, raced in the Six Day events, and then returned to Italy a the beginning of March, often just in time to enter the Milano-San Remo spring classic where he raced as an unattached rider. All this hard work and ceaseless globetrotting to earn just a little over a half of what a good road racer of the time was making. But that was well before the age of sports celebrities and the lucrative contracts of today, a time in which the French rider Trentin didn't even have a bathroom in his house when he went off to race the Olympics, and when Pettenella himself immediately sold the Masi with which he had won his gold medal in Tokyo. 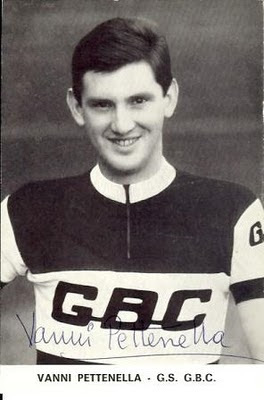 Pettenella ended his professional cycling career in 1969 after twenty years of racing on velodromes all over the world. He was promptly appointed technical director of the Vigorelli, holding the position until the velodrome was closed in 1987. During those years he also coached the Italian national track team, and when the Vigorelli closed he was appointed director of the Busto Garolfo velodrome for a couple of years. After he stopped racing Vanni got into frame building, and his track frames all have the signature 'Vigorelli' decal on the seat tube. Today, while Morelon - the French rider who took third place in the track sprint ot the Tokyo Olympics - is still the prestigious director of the French national track squad, Pettenella, who was the last Italian to win an Olympic gold medal in a track event, is relegated to his small and almost forgotten store where he passes his time in the company of his memories and his bicycle frames. Cycling enthusiasts from as far afield as Japan come to visit him in Via Semplicità and to buy his track gear, but sadly most of his fellow Italian countrymen are scarcely aware of his presence. Track racing was his life, and he will gladly spend hours explaining how to correctly glue sew-ups to rims or discussing the finer points on how to brake using nothing more than a gloved hand. He is also the inventor of numerous cycling firsts, amongst which are aerodynamic frame tubes, the cyclocomputer, biomechanically designed pedals and aerodynamic wheels built using a reduced number of hollow tube-shaped spokes lying in the same plane. Until recently very few Italians seemed interested in his astounding tales of battles on faraway velodromes, and those of us who love cycling can't help but feel ashamed about such indifference. Perhaps the time has come to shed this indifference by simply jumping onto a fixie and heading over to Via Semplicità, diving into the wonderful cycling treasure trove hidden behind that unusual green storefront so that the amazing times and life of Giovanni Pettenella may never be lost or ceased to be marvelled at." 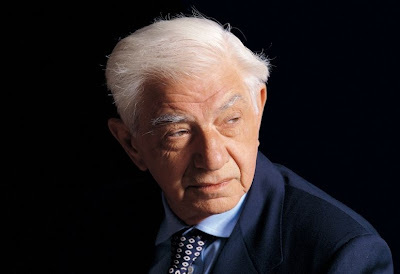 Also of interest is this video interview by Camilla Candida Donzella in which Pettenella can be heard stating that he pioneered the use of aero tubesets for which he received a patent. At the time the tubes all had to be hand formed. He goes on to say while many copied his innovations only Ernesto Colnago paid him any royalties. VANNI PETTENELLA GOLD AND SILVER MEDAL 1964 TOKYO from camilla candida donzella on Vimeo. Washington D.C. will be announced tomorrow. The announcement is said to be taking place at the Italian Embassy with Ambassador Giulio Terzi di Sant’Agata, Washington D.C Mayor Adrian Fenty and Giro director Angelo Zomegnan. Two important meetings took place in Washington this past December between a delegation from RCS Sport, led by Angelo Zomegnan, and Mayor Adrian Fenty and city authorities. The original plan of a prologue plus a stage may have been altered. 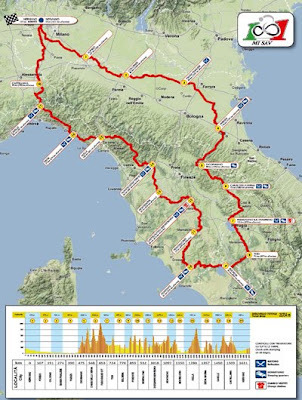 24 Ore reported that the plan is for a prologue on a Saturday, return to Italy on Sunday, rest day on Monday, and the Giro then starting on Italian soil on Tuesday. Also for 2012, Brescia is bidding for the finish of the Giro. Previous story and links to all related stories here. "I am a man who goes straight to the point. And, by force of habit, I never look back and count the years I have spent making frames. I prefer to look ahead because, after working for half a century, I am still convinced that the bicycle has room for improvement. And just as I have done up till now, in the future too I want to contribute to the evolution of this fascinating vehicle, which is at the same time so simple and so complicated. Everything began just after the war. It was 1947, I was 13 years old and crazy about bikes. It was the time of the Sunday magazine, the Domenica del Corriere, with its covers drawn by Walter Molino illustrating the feats of Bartali and Coppi. For me, it was a time for studying but also for dreaming. And in the workshop of Filippo Fasci, one of my relatives, I dreamed of building myself a bike and becoming a champion. It was in that little workshop that my destiny was decided. When I was 18 I set up business on my own and began this difficult but wonderful adventure that I am still experiencing today, with the same strength, desire and enthusiasm as in those early years. It may happen that the memories of fifty years of a lifetime in cycling build up and become confused with one another. But there are some that are unforgettable for their intensity, emotion and satisfaction. All these memories are linked with champion cyclists. Like Raphäel Geminiani, whom I met in 1958 and who immediately wanted me as a mechanic in his team. Or like Van Looy, the king of fast finishes. Like Gastone Nencini, the never-forgotten “Yellow Cloud”. Or like Gianni Motta, elegant in the saddle. Like Eddy Merckx: a champion par excellence, on the cycle and in life, Eddy was so scrupulous that sometimes he might seem capricious. How many sleepless nights, for Eddy…but how many satisfactions! After that came many more, thanks to Moser, Argentin, Berzin, Gonchar, Vainsteins, Casagrande, Baldato, Pellizzotti...and all those champions who have ridden or are still riding my bicycles. And whom I group together in a symbolic photo to commemorate their and our successes." His charismatic figure is closely linked with the name of the Italian racing bicycle and his name is part of a restricted list of frame artists, animators of that “movement” who, around the Sixties, with their skill and imagination were decisive in the success of the special bike “made in Italy”. Advocate of a philosophy based on healthy realism, according to which “first you have to know how to make bicycles, and then know how to sell them”, in fifty years of activity Ugo De Rosa has brought his business from a small workshop to one of the world’s finest companies linked with the cycling world. A world where Italian is not the only language spoken. It’s true: behind a great man there is always a great woman. And behind Mariuccia and Ugo De Rosa, who have shared the joys and toils of fifty years of work, there are also three sons really worthy of their parents: Danilo, Doriano and Cristiano. A closely knit family, true strength of the company that bears their name and reflects their character, geniality, seriousness, precision and taste for beautiful things. A family with great unity of intent, in which each member has a well defined task, without conflict but with the precise aim of increasing the prestige of the De Rosa brand year after year. Danilo, born in 1958, the eldest. His high technical training, the manual skill inherited from his father and constant exercise in cycling at good levels enable him to transmit the spirit that has always animated every De Rosa product to the aluminium and carbon frames which he designs and plans right down to the minimum details. With his distinctive aesthetic sense and good taste, it is his job to decide the graphic aspect and the colours of the various lines of frames and bicycles. Doriano, born in 1961, defines himself as “very much in love” with his work. His speciality is titanium: he knows all about alloys and the methods for processing them. In fact, every De Rosa titanium frame bears his signature, because he personally follows up all the stages from the drawing board to production. As well as titanium, he is an expert in steel. He supports the theory that the evolution of the product must go step by step with tradition, with which it is integrated and epitomised. And the results prove he is right. The third son, born in 1963, also served his time, learning the trade under his father wing. Then he gradually began to deal with the commercial aspect of the company, in which he is now occupied on a full-time basis. From his mother he inherited an inborn sense for public relations which allows him to manage all-round contacts with the cycling world. He is the “official voice” of the family business which he represents, along with his brothers, also at fairs and international events. Behind the name “Ugo De Rosa srl” we don’t find the usual, typical family-run artisan company, but one of the finest cycle companies in Italy. Certainly it is firmly in the hands of a strong and united family, who work at artisan level but with absolutely modern criteria and with state-of-the-art technologies that enable them to keep in step with the times and often to anticipate them. How steel has changed in the half century! It seems only yesterday when we had to handle untreated tubes, shiny with oil, to be cut by hand, the joins to be filed one by one, to refine its shape and thickness so that they look more like embroidery than couplings. And we had to heat it with an oxyhydrogen flame, cast the brass and weld everything. And then file and file again…Instead now we are in the days of TIG, of welds made directly from tube to tube, so fine that they seem invisible, and very difficult to perform if you are not well trained. And if you don’t know the metal you are working on, always lighter, always thinner…The only thing that has not changed, and that is because we want it that way, is the typical De Rosa meticulousness in always wanting to do things well. First with the brain and then with the heart. And this can be seen in our steel frames, from the ever popular Neo Primato to the brand-new Corum. Noble, exclusive, intended for a select few. And above all, fascinating. As fascinating and enthralling as the challenge that we De Rosa have undertaken with this material. So difficult to work with, but also unique for the satisfactions that it gave us when we understood its secrets, concealed in its precious alloys. Secrets that we now guard jealously because they enable us to process it better to achieve our aim. The aim to obtain frames that are not only nice to look at, but also to use both at the purely competitive level and in amateur sports. Ours is a niche production, with only two models in the in which we are personally involved. Because only in that way are we sure that we can catalogue, both realised in an artisan manner, made with maniacal care for detail and with procedures achieve our set aim. Because only in that way our Titanio and Titanio XS acquire an absolute identity that makes them stand out among a thousand others. And makes them worthy to bear the De Rosa mark. Light aluminium alloys are strange. And above all they are many. So many that if you do not take care in choosing the right one…you risk putting your good name in jeopardy. This is the real reason why we De Rosa were particularly cautious in approaching alloys. The aluminium question had to be tackled with full knowledge of the facts, and that is just what we did. The first alloy frame by De Rosa arrived when the market was already offering all kinds of things. But it earned a place on the market without any problems and these spaces were followed by others. The proverb says “Breeding will out”. This old saying also applies to our light alloy frames. Safe, reliable frames, made even more comfortable by the latest technologies linked to the interaction of aluminium with carbon fibre. Frames that met with immediate approval. Confirmed by the response of a market which again placed its trust in us. You cannot fail to fall in love at first sight with composite material, a material with infinite potential. If it is correctly treated and processed, of course. Our project for carbon, for example, began a long way back. We arrived at the King following a long path during which, step by step, we learned all the secrets of carbon fibres and fabrics. And all about the respective work processes, for which we built a separate department in our factory. A special laboratory, where only carbon is processed, where the absence of dust and humidity and constant temperatures are absolutely necessary factors to ensure the final result. Where specialised personnel work on the products in composite fibre and assemble them according to well defined procedures in order to arrive at the complete frame. Realised in this way, the frame guarantees the right parameters of mechanical strength and elastic modulus, necessary to make the King an authentic machine born to race. Reliable testimonials are provided not only by the professionals in the Alessio Team, but also by a great many enthusiasts who once again have placed their trust in us. In our half-century, our history has taught us that nothing can be left to chance. At our level we cannot allow ourselves to put a foot wrong, we have an enormous company heritage to safeguard, in other words our customers. We must offer them quality, safety and the guarantee of maximum reliability. For this reason, before going into production, every frame model is planned thoroughly right down to the slightest detail, studying the reactions with special laboratory tests, some of which are performed directly in the factory, others in university facilities. Static and dynamic tests which are followed by countless tests directly on the road, carried out both by experienced professional racers and by amateurs. All people with “explosive” legs, valid testers who are able to put a racing bike through its paces like few others can. And production starts only when the results exceed the parameters of resistance, safety and duration. And the items are not mass produced, for we respect the values of artisan tradition that has made the De Rosa brand famous throughout the world. Those were difficult years. For Italy just recovering from the war, a racing bicycle was still a luxury. But cycling has the power to arouse people’s passions and everything led to believe that, in just a short time, the Italians would be clamouring for special bikes. Among the few to believe this there was also Ugo De Rosa, who in that very year began his great adventure on two wheels. The only material available for making frames was steel. Cut by the skillful hands of the craftsman, welded and filed, it was transformed into authentic gems born to race. And to win. distinguished themselves for their elegance and neatness of form, lightness and reliability. The same characteristics which make our “EOS” and “XS” titanium frames stand out among a thousand others today. The racing bike finally assumed the role it had earned on the two-wheels panorama, undergoing continuous technical updates. Aluminium alloys had now been used for years also on frames for road bikes. Sometimes this was done without due consideration, too superficially. To avoid this pitfall, De Rosa began making alloy frames only when that material had no more secrets for him. It was with that attention, that philosophy combining tradition and evolution, that masterpieces such as the Dual and the Merak took shape, frames that are appreciated all over the world. If aluminium has had a lot to say in the field of frame making, carbon is certainly not far behind. Composite materials, used in the most varied industrial fields, gradually entered our world to, and in the form of components they allowed us to produce completely new frames. Frames in which the sharp reactivity of light alloy is wedded with the high modulus of elasticity, the mechanical strength and the light weight characteristic of carbon. The success of these innovative frames, a perfect equilibrium of performance and comfort, was immediate perhaps it excellently interpreted the demands of modern cycling, in both the competitive and the amateur field. To make our first all-carbon frame we were inspired by the King and by its modularity concept which enables us to produce real tailor-made frames. We worked hard to create a steering coupling made entirely of composite fibre and to guarantee the perfect operation of the mechanisms built into the steering. We succeeded thanks to our experience and to the technology at our disposal. In this way we achieved our set goal, that is a full carbon frame that is modular like the King and weighs only 1050 grams, not including the fork. Often “celebrative” bikes end up being more collectors’ items than mechanical means for using in earnest. The “Cinquanta”, created to celebrate our golden wedding with the bicycle, is instead a highly special racing frame to all effects. Following the path of active modularity, on which we embarked with the King, and working with carbon fibre to obtain a steering configuration with built-in mechanisms, we obtained an all-composite frame. Although it is composed of various segments, it possesses the rigidity of a monocoque, with in addition high riding comfort. Without counting the possibility of being able to choose from a complete range of customised sizes. "Ugo De Rosa was born on the 27th of January 1934 in Milan, Italy. He attended primary school, middle school and a technical school where he followed a mechanical and engineering curriculum. He developed a passion for bicycle racing as a young boy, a passion which remains with him to this day. It first led him to take up the sport of racing in which he advanced through several ranks at the amateur level. But he also became very interested the science of the bicycle itself, and this proved to be the area where De Rosa would make his mark on the cycling world. His first job was in the work shop of an uncle where he repaired and assembled bicycles. In the early fifties Ugo De Rosa opened his first shop and dedicated himself to the manufacture of racing bicycles. He understood what it took to build a true racing bicycle and his reputation began to spread among the amateur racers in Milan. By 1958 the word of De Rosa's frames had reached the professional peleton. While attending a race at the Vigorelli velodrome in Milan De Rosa was approached by a famous cyclist of the day, Raphael Geminiani. 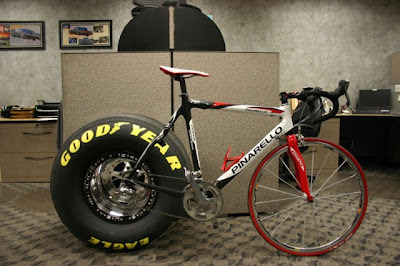 He asked De Rosa to build him a bike for the upcoming Giro d'Italia. De Rosa responded immediately to Geminiani's request, for he knew that making this champion's bikes would certify his craftsmanship and launch him into the world of professional cycling. In 1969 De Rosa was approached by Gianni Motta, a great champion of that era who had admired the bicycles of the Max Majer team. Motta wanted to engage De Rosa as his frame builder and mechanic, De Rosa accepted and became the bicycle supplier to Motta's powerful Sanson team as well. It was also during this period that one of the greatest stars of cycling was rising - Eddy Merckx. De Rosa built some frames for Merckx around this time, but it was not until 1973 that their now famous relationship was formalized. That was when Eddy asked Ugo to become the official frame builder and mechanic for the Molteni team which he captained. The results were unprecedented as Merckx and his teammates won nearly all the major races including the Tour de France, the Giro d'Italia, Milano-San Remo and the World Championship. This partnership remained in effect until Merckx's retirement in 1978. In 1981 Eddy again called upon his former frame builder to be a technical consultant when he first set up his own bicycle manufacturing facility. De Rosa's talents were, however, in great demand by the mid- seventies. In 1974 another great racer came to him in search of the frame that was the talk of the pro peleton. Francesco Moser wanted De Rosa bicycles for his Filotex team. De Rosa complied and the results were rewarding for both parties. The team was taken over by Sanson in 1976, and it added the powerful Belgian Roger DeVlaeminck to its roster while Moser went on to win the World Championship. So as the seventies came to a close Ugo De Rosa had gone from the humble beginnings in his uncle's repair shop to becoming the frame builder of two World Champions. De Rosa's personal life was as rewarding as his professional one. His wife and sons had always been supportive of him, and as the seventies were coming to a close his sons Danilo, Doriano, and Cristiano were showing great interest in the family business. The timing could not have been better as the demand for De Rosa bicycles skyrocketed in the eighties as De Rosa had entered new markets for the first time including the United States, Russia, Japan, Belgium, and Germany. The sport side of the business continued to grow for De Rosa in the eighties as well. In 1982 he sponsored the Sammontana team led by Moreno Argentin and Giovanbattista Baronchelli. From 1985 to 1989 De Rosa worked with the Ariostea team which grew from a small start-up team to one of the dominant squads in the peleton by the end of the decade. The end of the eighties also saw De Rosa outgrow the small work shop adjacent to his home where all his frames had been made, and he moved to a larger space in Cusano Milanino and assigned his sons definite responsibilities. Danilo and Doriano learned well from their father and started to work beside him in the most critical phases of frame construction while Cristiano took over the commercial side of the business. The Gewiss team collected over 40 victories in 1994, verifying De Rosa's titanium frame concept. Today the De Rosa family continues to build the finest bicycles they know how to while constantly searching for ways to improve their product. Ugo, Danilo, Doriano, and Cristiano have come a long way since Ugo entered that first race some forty years ago." Note: not all dates are confirmed, best to check the event website for details. Angelo Zomegnan (director of the Giro d'Italia) has been busy nipping in the bud any suggestions about "podium guys" at the prologue in Amsterdam. Zomegnan said, "We will choose 'le miss'. The winner of the prologue in the next Giro will be celebrated by two podium girls selected by the race organizer of the Corsa Rosa. I don't know anything about a contest, it's not authorized by us. The podium girls will be Italian and we will bring them from Italy." Zomegnan was responding to a Dutch politician that argued that the winner of the prologue of the Giro d'Italia in Amsterdam this year should be greeted not by the usual podium girls but by podium guys. "In a city like Amsterdam, known as the gay capital, it would be nice not to have two beautiful misses, but two fine misters,” Marco de Goede of the GroenLinks party argued Wednesday at a city council meeting, according to Reuters. “Do not let a beautiful lady with long legs present the pink jersey award to the winner of the prologue, but a man with a broad chest. Or a drag queen,” he suggested. “A 'Miss' is hopelessly outdated and sexist.” Local TV stations and AT5 RTV Noord-Holland had organised a competition to select the possible podium presenters. Goodyear Tire company's Racing Division is going to bring their expertise to cycling in a new partnership with Pinarello. Video of the creation of a Colnago EPS frame. The EPS frames are 100% made in Italy. Some Colnago models are made in Italy, and others are made in Asia. Colnago, to their credit, has in the past clearly indicated where each model is made. Colnago owners and fans can join the new Colnago Club sponsored by Colnago. I know, I know....this is a cycling journal. But, there may be times when I just have to take a slight detour into Italian life and culture. 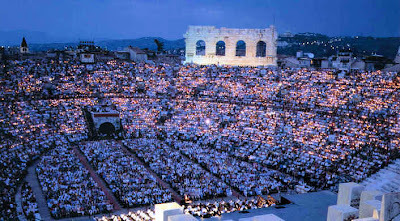 If you are visiting Verona during the summer months you can take in an evening opera at the Arena di Verona. The Arena di Verona is a Roman amphitheatre which is internationally famous for the large-scale opera performances given there. Built in 30 AD (!) it is one of the best preserved ancient structures of its kind in the world. This year's playbill will include Turandot, Aida, Madama Butterfly, Carmen and Il Trovatore. It's nice to do some riding during the day in the hills, return to Verona in the afternoon and watch classic opera in the evening in the stunning Arena. Recent visitors such as Peter (aka as "Pietro"), and Buzz and Maria have done just that. From time to time there are good popular music concerts concerts as well. The Eagles, Bruce Springsteen and Eric Clapton (I didn't get a chance to ask him about his Cinelli) are among the concerts I've seen at the Arena. Arena di Verona program information can be found here. I just discovered that Antonio Colombo, President of Gruppo S.p.A. (Columbus and Cinelli), has his own art gallery in Milan. The gallery, "Galleria Antonio Colombo Arte Contemporanea", was inaugurated in 1998. There will be a cycling related exhibition at the gallery by tattoo/graffiti/fix gear/clothing mogul and legend Mike Giant from 25 February to 24 April. The gallery is located at via Solferino, 44 in Milan. 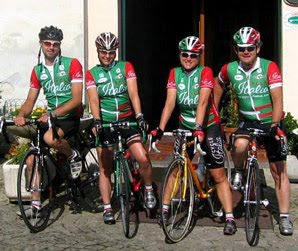 Larry Theobald, and his wife Heather, are the owners of CYCLE ITALIA, http://www.cycleitalia.com/, and are currently residing in Viterbo as they prepare for the 2010 bicycle touring season. Do visit their website and blog. Larry was kind enough to undertake an interview today with Serafino Tomi of Cicli Tomi regarding his framebuilding at Cinelli in the 1970s. Larry's interview can be read at CINELLI ONLY. 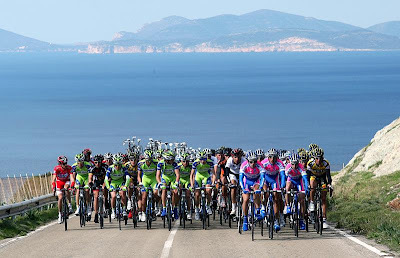 The 45th ediiton of Tirreno-Adriatico will be held March 10-16, 2010. The race this year will be dedicated to the memory of Franco Ballerini. This past Saturday the official presentation for the 2nd edition of the 1001 Miglia Italia, the 1001 mile randonee in Italy, took place in Milan. 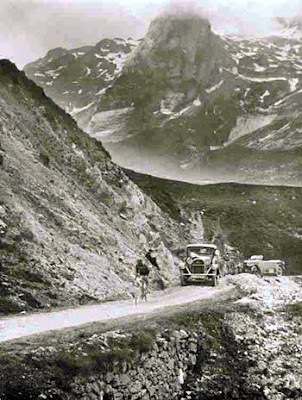 The 1001 Miglia is the longest randonnée of Europe. Particpating in the presentation were the the Counselors of Sports and Tourism for the Province of Milan, Cristina Stancari and Stefano Bolognini, and ARI (Audax Randonneur Italy) President Fermo Rigamonti. Registration for the event, which reported on in Part I, opened on September 6, 2009. There are already 340 registrants representing 25 countries and 25 provinces of Italy. Of the 340 currently registered 168 are foreigners and 21 are women. The inaugural 2008 edition of the event had 220 participants of which 163 completed it. Riders will have a maximum time limit of 135 hours to complete the 1001 mile route that features a total of 20,000 feet of elevation gain. The route will begin in Nerviano, near Milan, and will take riders eastward through the Po Valley along the Po River eventually crossing the Appenines, fortunately avoiding the steepest climbs. Riders will turn south crossing central Italy along the Tiber River and past the Trasimeno, Corbara, Bolsena. Then it's northward on through the roads of Siena, Chianti, Lucca, before arriving at Cinque Terre along the Liguerian Sea. The route then turns east crossing the hills of Oltrepo before reaching the plains and rice fields of Lombardia. The event will take place from August 16, 2010 to August 22, 2010. To participate in the 1001 Miglia this year a rider must have had previously completed the Paris Brest Paris, 1001 Miglia, LEL or MGM; or a 600km or 400km in 2010. For further details see here. "We’re delighted to announce that we’ve just completed a full refit of our website at http://www.colnago.com/. With a gorgeous new style and feel, it’s the place to catch up on the full details of the Colnago bicycle range, all the news from Colnago HQ in Cambiago, Italy and our exclusive bicycle technologies. The new site has details of all our 2010 international teams, our USA and European granfondo events and the chance for Colnago fans to join our new on-line community, the Colnago Club. To reach everyone in the world who loves Colnago bicycles, we have created the site in seven different languages. We are live with 7 languages :English, Italian, French, Spanish, German, Chinese and Japanese versions. Come and take a look at http://www.colnago.com/. " 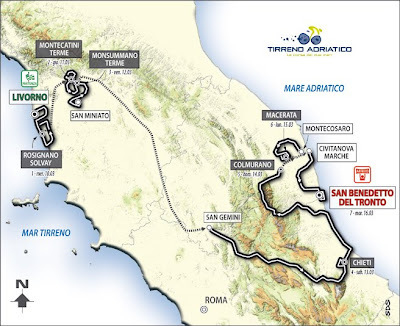 The 45th edition of the Tirreno-Adriatico, which this year will be dedicated to the memory of Franco Ballerini, coach of the Italian national team, will start March 10th in Livorno and end in San Benedetto del Tronto on March 16th. 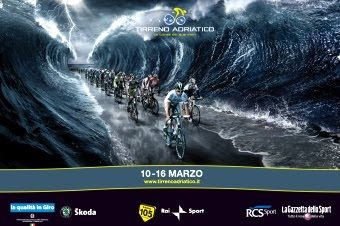 The publicity campaign will use an image of Cadel Evans leading the peloton as the Tirreno and Adriatico seas part. The artwork was created by advertising agency McCann Erickson. Now that the finish of the Giro d'Italia has been pried away from Milano by Verona, Brescia has announced it's candidacy to host the finishing stage of the 2012 Giro. The Mayor of Brescia, Adriano Paroli, announced the official application of the city to host the arrival of the last stage of the 95th edition of the Giro d'Italia. This year Brescia is hosting the finish of stage 18 (Levico Terme-Brescia, 151 km, May 27) and the departure of stage 19 (Brescia-Aprica, 195 km, May 28). 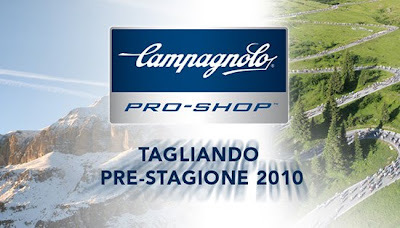 Campagnolo is offering a pre-season maintenance deal for owners of 10 and 11 groups at Campagnolo "Pro-Shop" locations in Italy beginning today and through March 31st. There is also a list of other components which can be purchased at a discount at the time the maintenance is performed. Details of the the participating Pro-Shop locations, a necessary coupon, etc., can be found here (in Italian). 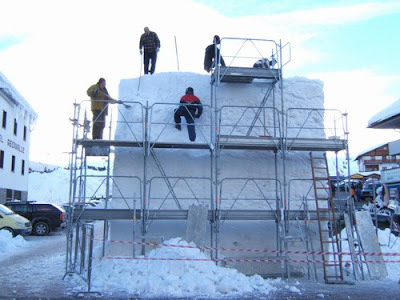 Three large ice and snow sculptures have been created to pay homage to the Passo Tonale stage of the 93 ° Giro d'Italia on May 29, 2010. The first sculpture depicts two cyclists in a sprint in the shadow of a figure holding a primitive wheel. The sculpture was made by sculptors Ivan and Francesco Mariotti. The second sculpture depicts the profile of Fausto Coppi, in memory of 50 years after his death. The sculpture was made by the sculptor Ivan Mariotti with the support of Massimiliano Mazzucchelli and Gerolamo Delpero. The third sculpture, pictured above, shows two riders racing towards the finish line on the Passo Tonale. The sculpture, measuring six meters high, was made by sculptors Vernesi Achille and Gianmario Laiti, and from Valsabbino, Massimo Pasini assisted by Giovanni Monera. 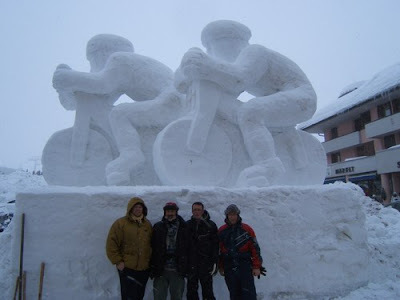 It's expected that the sculptures will melt by the time the Giro arrives. I really had good times riding in France with Eros Poli and my friends from Gruppo 1 of San Massimo, Verona. Riding with "Monsieur Mont Ventoux" on Ventoux, Galibier, Alpe d'Huez and Izoard are moments I'll always remember. Here are Eros, myself, Paolo, Daniela and Beppe next to what must be one of the most cycling related photographed spots in the word. Eros, having organized many tours for Italian riders, has now organized his first tours for international clients. Of particular interest is the "Special Tour de France" tour although the "Special Giro d'Italia" tour shouldn't be overlooked as it will finish in Verona this year. For Europeans not too far from Italy the Mont Ventoux 2010 3 day weekend tours, offered on 3 weekends, would also be a nice opportunity to climb Mont Ventoux with Eros. There are still slots available for the Special Tour de France which will include watching stages of the Tour de France, climbs of the Col de la Madeleine, Col de la Croix de Fer, Col du Galibier, and Mont Ventoux. Then a transfer to Treviso, Italy, for some riding and concluding the tour with particpation in "lapinarello Cycling Marathon" (formerly named the Granfondo Pinarello). What a guy! Riccardo Riccò has totally distanced himself from his girlfriend, Vania Rossi, and mother of their 7 month old son, saying, "I'm disappointed with my girlfriend and there can be no reconciliation until Vania is shown to be innocent of the allegations that were raised." Riccò himself is nearing the end of an eighteen month suspension for his own use of CERA, the same substance which his cyclocrossing girlfriend recently tested postive for. This occurs after Riccò's team, Ceramica Flaminia, was the only Italian Pro Continental team not to be invited to any of the big Italain races on the calendar for March. Rumors were also swirling that the team was not going to be invited to the Giro d'Italia. The European cycling tradition of the Grand Fondo cycling experience is coming to Missouri's hilliest wine country on Saturday, May 1, 2010. The "Vino Fondo" event name reflects a traditional pairing of challenging riding and a tour of some of Missouri's best and oldest vineyards. The Vino Fondo will start in Augusta, Missouri, and will use the same roads and towns visited by the Tour of Missouri Professional Cycling Race. The Vino Fondo is a fully supported, timed ride. All participants will receive two measures of their achievement: overall ride time and their climbing time over the penultimate beast, the Schleusberg. There are three distance options, each tuned to maximize scenery and include as many of the regions "topographic features". Three routes will allow riders to challenge themselves in this inaugural Vino Fondo. The Mondo Fondo-132 miles, snaking from Augusta, Missouri to Hermann, Missouri and back. With 12,000 feet of climbing, "the grapes won't be the only thing whining." The Midi Fondo-75 miles, 5700 feet of climbing. From Augusta, past Daniel Boone's home, and up and over the historic route of the Missouri State Championship Road Race. The Mini Fondo-25 miles, 2,600 feet of climbing for those looking for a less intense day with a few challenging climbs. Registration for the Vino Fondo is open and all event information can be found here. The North American granfondo calendar for 2010 can be seen here. The up and coming bike show in Italy, "ExpoBici", is scheduled for September 18 to 20, 2010. The organizers believe it is an ideal time for the Italian market, immediately following the official presentation of new products at the European level and prior to the end of the cycling season. At last year's 2nd edition there were 250 exhibitors and 25,000 visitors. ExpoBici is held at Padova Exhibition Center in Padova. 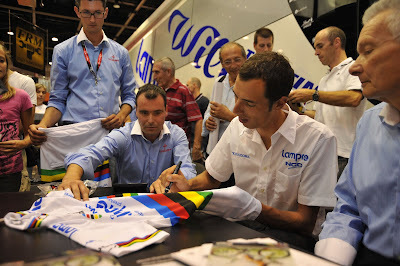 Photo: Ballan signing autographs and jerseys at 2009 ExpoBici, more photos here.